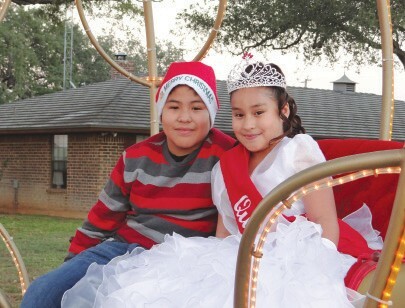 The 2014 Charlotte Christmas Queen Alejandra Segundo and her brother Valentin Segundo at last year’s lighted Christmas Parade. The annual Charlotte Christmas Celebration will be Saturday, December 5 from 2 p.m. – 1 a.m. at Davenport City Park with the parade starting at 6:30 p.m. The night will include live music, fireworks, food booths and games for the kids. This year there will also be a Christmas Cook-Off at the Old Lion’s Club, Softball Field in Charlotte. The City of Charlotte would like to invite residents of the surrounding areas to their Annual Christmas in Charlotte Celebration on Saturday, December 5 from 2 p.m. to 1 a.m. at Davenport City Park. The Christmas in Charlotte Celebration began in 1999 and has continued to grow over the years. There will be plenty of food booths and vendors selling arts and crafts. This is a great opportunity for people to shop locally for Christmas gifts and get in the Christmas spirit. A Christmas Night Parade will kick off at 6:30 p.m. Live music will be provided by Hunter Chavez y Los Casadorez, Los Jimenez, Grupo Amista, DJ Sound FXS, Joe Vic Reyna y Los Kumbacheros, and Los Cachies. A larger fireworks display will begin at 10 p.m.
For the first time ever, they will host the 1st Annual Christmas Cookoff on Saturday, December 5, as well. The cookoff will be held in conjunction with the International Bar-B-Que Cookers Association. The cookoff will be held at the Old Lions Club Softball Field in Charlotte. A cookers meeting will take place there at 8 a.m. that morning. 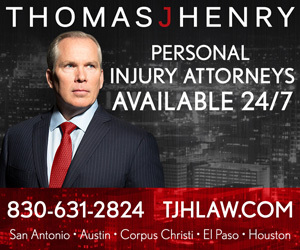 The entry fee to participate is $150 for all three meats-brisket, chicken, pork spare ribs, and jack pot beans. There will be a $25 entry fee for each dessert item. Participants must turn in their items for judging as follows: beans-10 a.m.; chicken-11 a.m.; pork spare ribs-1 p.m.; brisket-3 p.m. and dessert at 4 p.m. For more information about the cook off, you may contact Cleto Gonzalez at (830) 570-8142; Angelica Hernandez at (210) 473- 1772 or Leticia Gonzalez at (830) 430-6146. All proceeds from the Christmas in Charlotte Celebration and Cookoff will benefit Davenport City Park and its continued improvements. Go on over to Charlotte for great fun, music, and food!